Those of us lucky enough to own the WE M4 will know that it is a fantastic rifle but as with most things in life it isn't without its problems. One of the most commonly reported failures is to do with the weak material used in the stock charging handle and the tendency for the handle to snap. 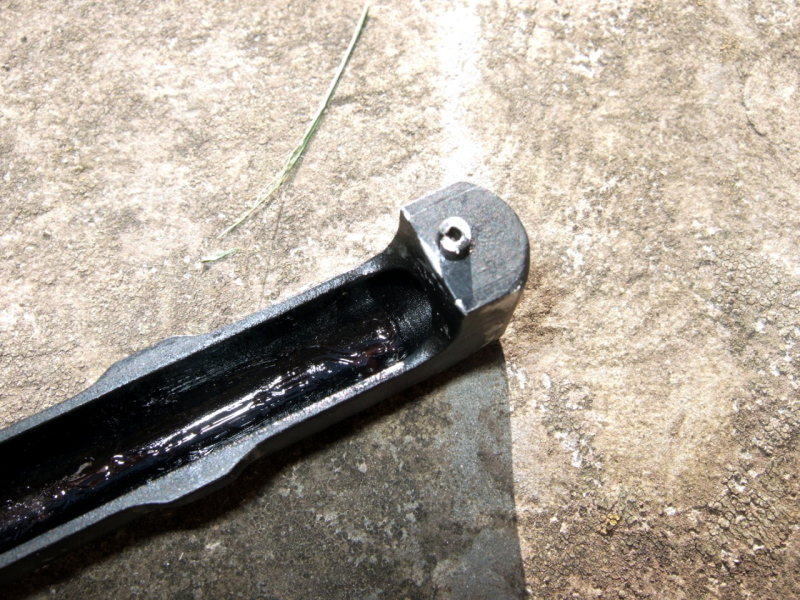 This was a problem which I was quite concerned with which led me to be extra cautious when operating this part and I felt this detracted slightly from my enjoyment when using the rifle. 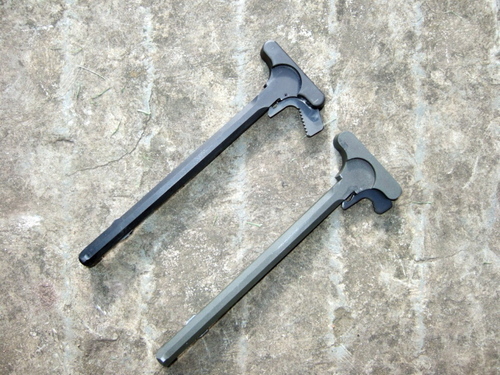 Therefore I was delighted when I stumbled across Horizon Tactical and their modified 'real steel' charging handle. To be perfectly honest I had never heard of Horizon previously so I was slightly wary in ordering from them so I contacted them via email with some initial enquires regarding the handle. The reply I received was extremely polite, friendly and helpful and immediately put my mind at ease. Combine this with Horizon's lifetime warranty on this charging handle I felt very happy to go ahead with the order. I placed my order for the charging handle along with some other upgrade parts and received the goods within a week. Altogether great customer service. 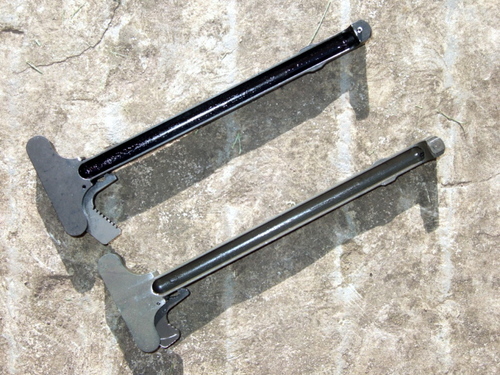 As you would imagine I was immediately able to tell that this 'real steel' charging handle was far superior to the WE version. It looks great, feels sturdier and is slightly heavier than the stock part so I was initially very impressed. As you can see the latch on the RS handle is much nicer than on the WE. It has a serrated edge for extra grip and is spring loaded plus it's actually longer than the stock latch. For me this was a great improvement as the stock latch was a bit too short for my index finger with the RS version it is long enough to wrap around my index finger therefore vastly improving grip. 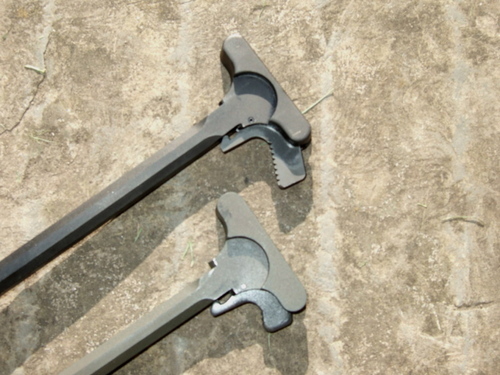 Horizon have slightly modified their charging handle in order for it to operate correctly with the WE and the method used is the same as seen in the WE M4 Wiki Guide. The modification has been done well and is very sturdy so I can't see any problems with it at all. As expected the RS handle slotted straight into place and was direct replacement for the stock part but I did need to move it back and forward a few times until the action was completely smooth but this wasn't a problem. So far I have gathered up many hours of use with Horizon's charging handle without a single problem or malfunction. Immediately I have much more confidence in the part and the rifle as a whole. I can now put that particular weak point of the WE M4 to the back of my mind when using the rifle and I can concentrate on the overall shooting experience which lets face it, is a lot of fun! From start to finish my experience with Horizon Tactical has been a pleasure and I would recommend them to anyone without hesitation. They have started to expand their stock recently and apparently will continue to do so in the future. It is also worth noting that they offering free shipping within the US and for non US addresses shipping is free for orders over $100. From now on they are my preferred retailer when it comes to all things WE M4 related, I would suggest that you check them out too!